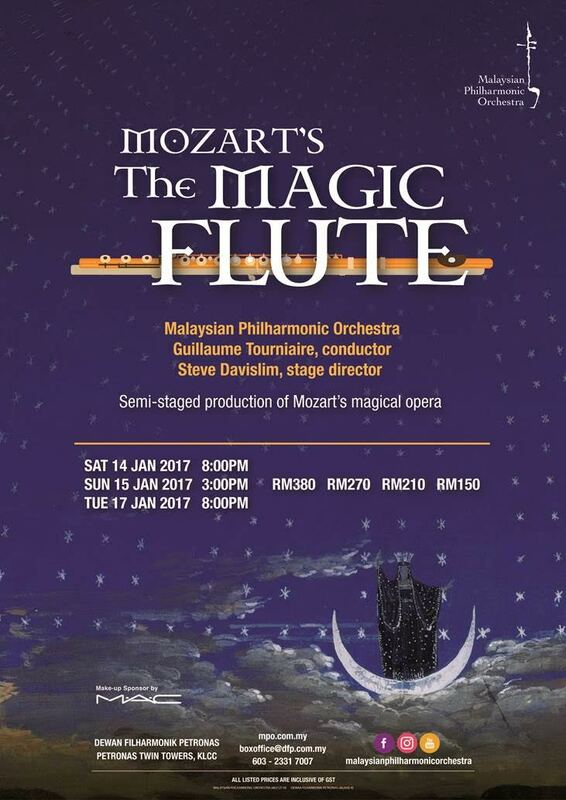 [Upcoming Event] THE MPO PRESENTS MOZART’S ‘THE MAGIC FLUTE’ AT DEWAN FILHARMONIK PETRONAS! Kuala Lumpur, January 2017 - The Malaysian Philharmonic Orchestra (MPO) will enchant the audiences this January with Mozart’s masterpiece The Magic Flute on Saturday, 14 January 2017 at 8.00 pm, Sunday, 15 January 2017 at 3.00 pm and Tuesday, 17 January 2017 at 8.00 pm at Dewan Filharmonik PETRONAS (DFP), KLCC. The Magic Flute was a huge success at its premiere in 1791 (with Mozart himself conducting) and has remained popular ever since. 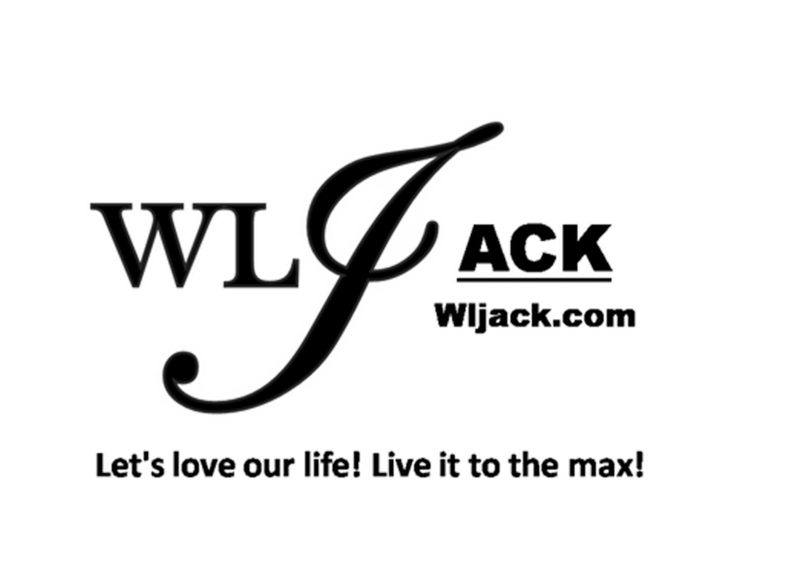 It is one of those rare works in any art form that appeals to both children and adults alike. The opera combines a playful spirit with a serious philosophy of life, incorporates melodies of ravishing beauty, and features brilliant orchestration, all set against the background of ancient Egypt. For over 200 years, this is an opera that has never been out of repertory, narrating the story of a fearsome sorceress who sings spectacular high notes, a lovable bird-catcher who gets the opera’s most popular tunes, a dragon, dancing animals, and two love affairs, a gem that truly has something for everyone! 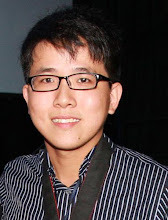 These showcases are bound to astound you, featuring dazzling singers/actors Steve Davislim, Dimitry Ivashchenko, Anna Siminska, Mei Foong Ang, Ker Ker Yeoh, Solomon Chong, Chi Mei Ho, YiLing Chaing, Lauren Snouffer, Yap Jin Hin, Daniel Carison, Chi Hoe Mak and Chee Chuan Seow, and also the Kuala Lumpur City Opera Chorus. All concerts will be led by French conductor, Guillaume Tourniaire who is currently enjoying a meteoric rise onto the international conducting stage. He has appeared with orchestras in Rome, France, Lisbon, Germany and Seoul. He has led the productions of Prokofiev’s music for the Eisenstein film Ivan the Terrible; Mozart’s incidental music for Thamos, King of Egypt; Prokofiev’s cantata Alexander Nevsky, Martinu’s oratorio Gilgamesh, Janacek’s cantatas Amarus and The Eternal Gospel, and Bizet’s Carmen. 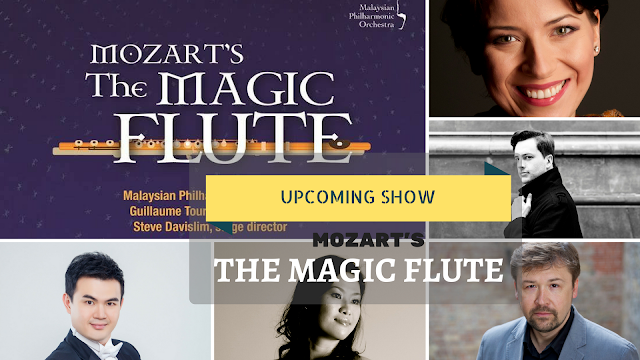 Be part of an unforgettable musical offering with the MPO, only at DFP!